Edit: preorder are now closed! After four years of hard work developing it, Bad Bones is now ready to hit your shelves. This out-of-ordinary game will be pre-released at Essen with only 300 copies available (official release date is February 8th, 2019). Bad Bones includes several game modes: base game with simple rules, advanced game with the ability to buy your own equipment, solo game, and cooperative version using the back of the boards. Player count ranges from 1 to 6, and is unlimited if you use several copies together (each box adds components for 6 more players). The designer of Gravity Superstar only had to show us the original way to move the meeples around the board to convince us to sign the game. Move in the four directions and fall through space to collect star dust and Replay tokens, eject opponents’ pawns and strip them of an item. Simple rules, easy to learn, but real tactical depth – that makes of Gravity Superstar a must-have. Only 600 copies will be available at Essen, then official release in December 2018. Hidden Roles brings a whole new dimension to Magic Maze, where you need to find who the traitors are, or avoid being accused. But without extra discussion allowed, you can only lie in action! 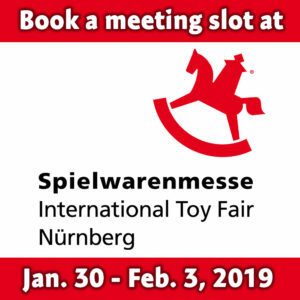 The mass production of this expansion hasn’t started yet, but we were so excited about it that we decided to bypass the time needed for a traditional mass production, so we can have a limited number of them (300) ready for you at Essen. They will be presented as a plastic-wrapped deck of cards, without any box. Important: the content of this version might slightly differ from the final version that will be released later. Soon after its release, we found out that not only kids like playing Magic Maze Kids, but adults also love it! That is why we decided to publish XXL, this giant playmat (70 x 70 cm) with a new board that uses all of the base game rules, plus two new specific rules. Only 300 copies will be available. The kids version of our best seller Magic Maze. The author managed to keep the essence of the game while adapting it to the younger ones in an original and clever way. A series refreshing Roll & Write games where all the players use the result of the same dice roll and try to use it better than their opponents. Fairness in luck, space management, unlimited player count, and a bit of “take that” are the ingredients for Penny Papers Adventures. You will love spoiling your opponent’s grids! This adventure is a gateway game with simple rules and straight ways to score victory points: organise the number in groups and in the longest string possible, and defeat the mummies. This adventure is more demanding and allows less mistakes, as you need to find treasures by placing 4 identical numbers in a way that you can draw a + to connect them – thanksfully, boats count as a wild number. The treasures are at the intersections! This adventure is the most complex, as it offers much more options and ways to score. If you are looking for a heavy game in a light box, you need to try this one! The elegance of pure mechanics combined with an original dream world. Ekö is one of Henri Kermarrec’s most beautiful achievements. We recently managed to get back a small quantity of this rare game published in 2012. We are happy to grab the opportunity to offer Karnag again this year, and that will please the gamer in you – if you come early enough. We expect it to be quickly sold out. Do we really need to present again this unique game? Magic Maze is a cooperative game played simultaneously and mostly in silence. The special thing about it is that everyone controls all of the heroes, but each player controls a unique action that no one else can use. Will you understand when you are expected to play? Unique, we said! Maximum Security is the first expansion for Magic Maze. It’s a toolbox with several modules that you can include to make challenge harder… or easier. Try them, combine them, and enjoy! 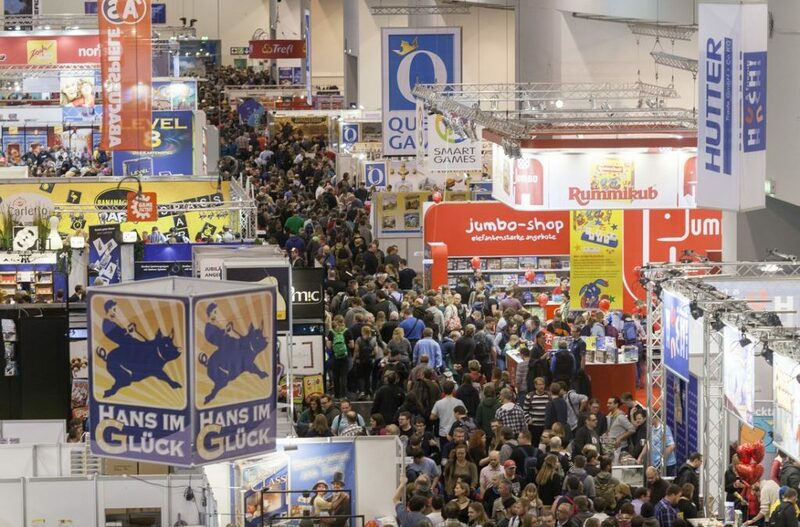 This might be the last time at Essen for Rockwell, as the stock is seriously dwindling. This rich and demanding game takes you to the center of the Earth: You need to drill deeper and deeper in order to get the gems you need, but alone, you can’t get far. You will need to “cooperate” with your opponents, while making sure you get the biggest share.